(NaturalNews) The U.S. Centers for Disease Control and Prevention (CDC) has admitted that this year's flu vaccine currently provides less than 50 percent protection against the most dangerous and common circulating strain of the influenza virus. Yet the agency not only encourages people to get vaccinated anyway but is also urging doctors to step up the use of antiviral drugs that provide barely any health benefit. Each flu vaccine contains a weakened or killed form of three or four strains of flu virus that have been selected based on the strains that researchers thought would be circulating that year. One of the strains is always a variety of Type A H3N2 flu virus. H3N2 is the strain that tends to circulate most widely during flu season and is responsible for more hospitalizations and deaths (especially in the elderly) than other flu types. This year, the strain of H3N2 circulating most widely is not the one included in the vaccine. Approximately 150 million people have already received the flu shot this year to date. The H3N2 strain circulating most widely this year was first detected in March 2014, after this year's flu vaccine was already in production. 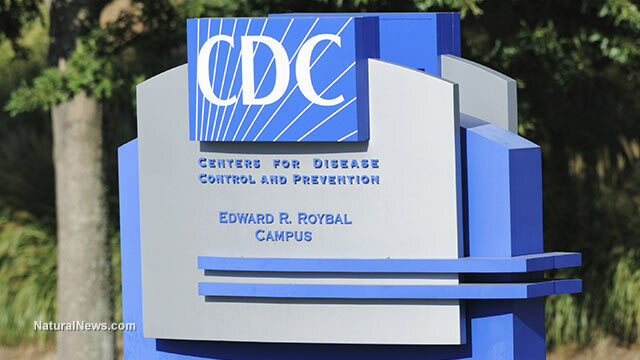 "This is not something that's been around before," CDC Director Tom Frieden said. Of all samples taken of circulating H3N2 strains, only 48 percent match the variety included in the vaccine. This is considered a poor rate of effectiveness. Due to the nature of the disease, however, the effectiveness of the flu vaccine is never particularly high. Last winter's effectiveness rate of just 50 to 55 percent (that is, an ineffectiveness rate of 50 percent!) is considered fairly high by experts. The recent announcement marks the second time this year that the CDC has publicly acknowledged the 2014-2015 flu vaccine's ineffectiveness. At a scientific CDC meeting in October, officials were informed that preliminary results from three separate studies showed that the live virus version of the 2013-2014 flu vaccine provided children with little or no immunity against the years' most common circulating strain of swine flu. Since the vaccine formulation has not changed, it may be equally or more ineffective this year. In its recent announcement, the CDC played up the supposed danger of the influenza virus. "Though we cannot predict what will happen the rest of this flu season, it's possible we may have a season that's more severe than most," Frieden said. The agency issued an advisory to doctors urging them to watch out for people at greater risk of flu complications and to consider immediately treating such people with antiviral drugs, without waiting for a positive flu test. Anti-influenza drugs have a very limited window in which they must be taken to be effective and are best taken within two days of symptom onset. They only lessen the disease's length by about a day. In spite of CDC alarmism, very few people die from the flu each year. According to death records from the National Vital Statistics System, only 500 people died from the flu in all of 2010 -- far lower than CDC estimates of 24,000-36,000. CDC estimates are so much higher because the agency lumps pneumonia and the flu together as a single cause of death, even though it admits that "only 8.5% of all pneumonia and influenza deaths [are] influenza-related." According to Dr. Glen Nowak, associate director for communications at CDC's National Immunization Program, the CDC made a conscious decision to inflate influenza mortality numbers in 2003. "The manufacturers were telling us that they weren't receiving a lot of orders for vaccine," Dr. Nowak said. "It really did look like we needed to do something to encourage people to get a flu shot."